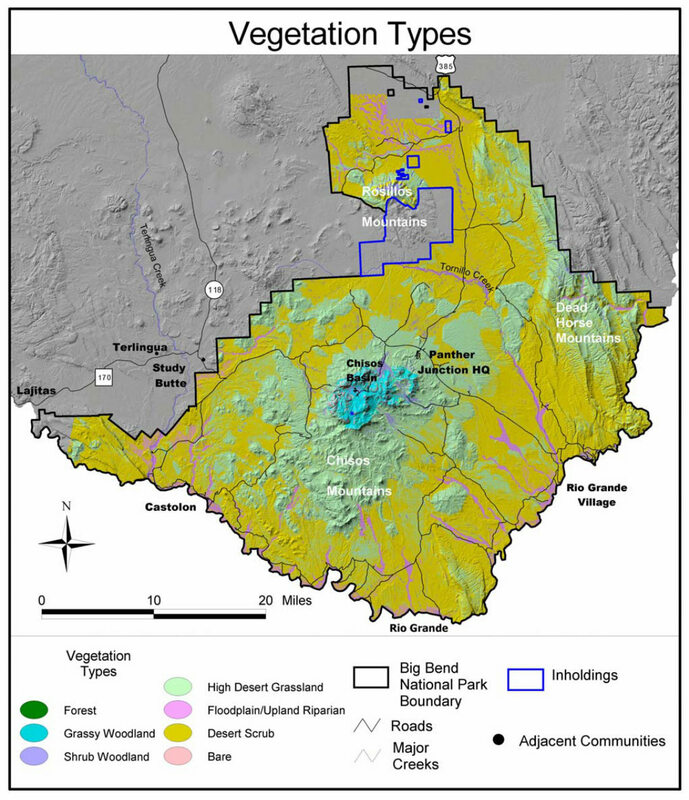 The official Big Bend National Park map from the 2015 national park brochure. 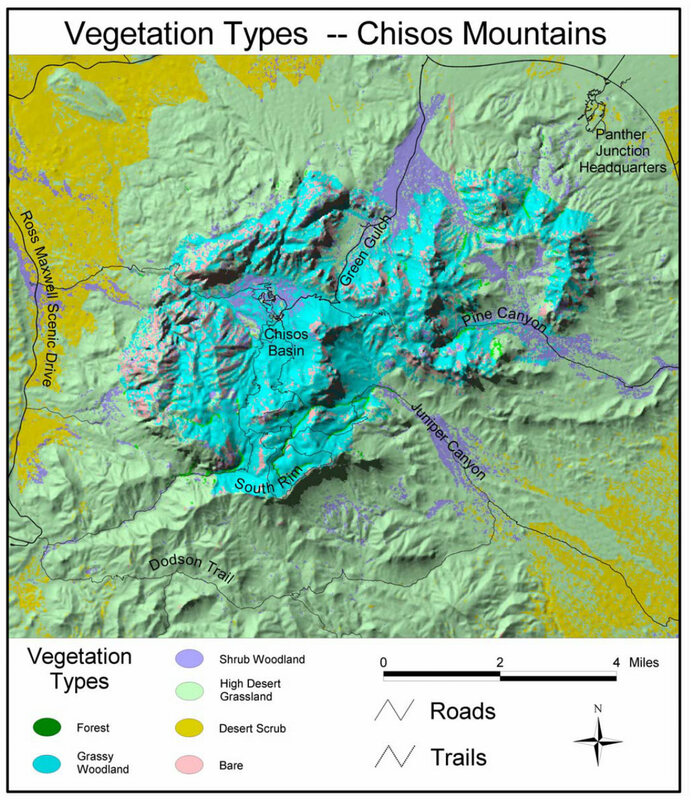 Detail map of Chisos Basin showing the lodge, visitor center, and many Chisos Mountains trails. 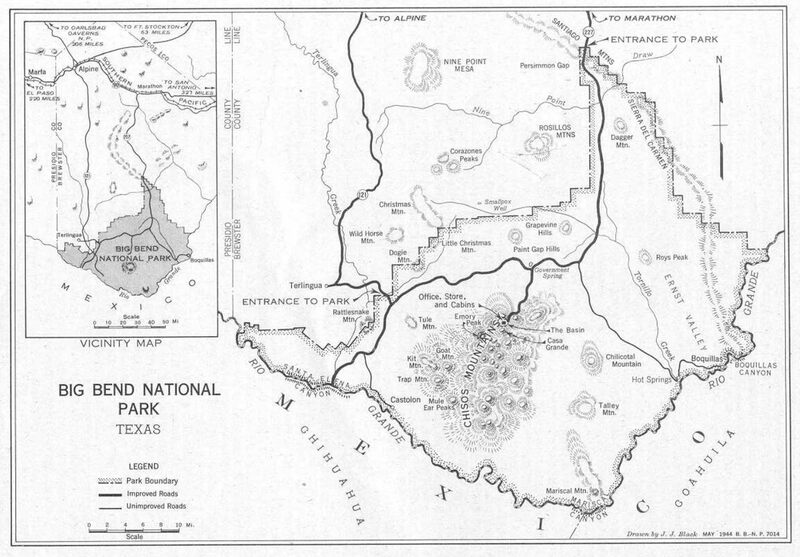 Detail map of Rio Grande Village, showing river access, camping, and the visitor center. 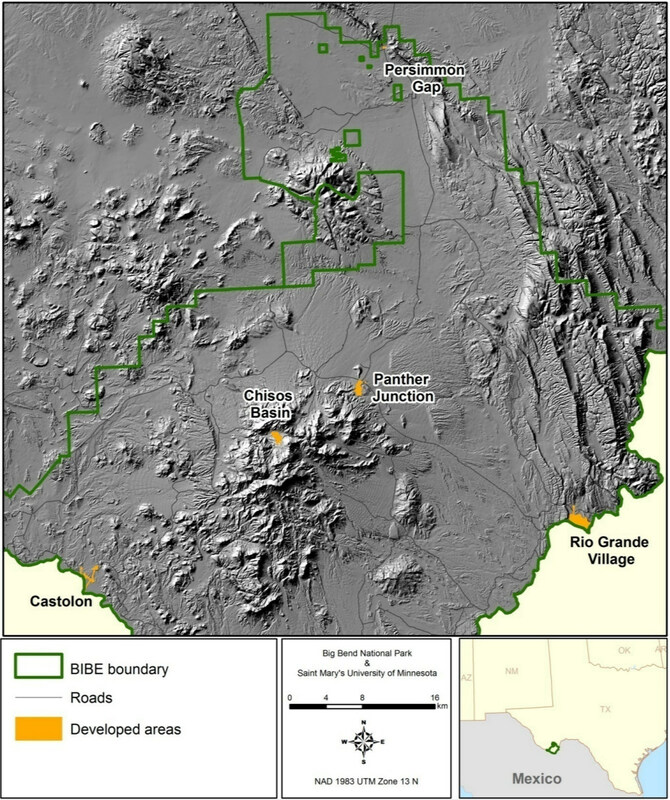 Trails map of the Chisos Mountains showing hiking trails& backcountry campsites. 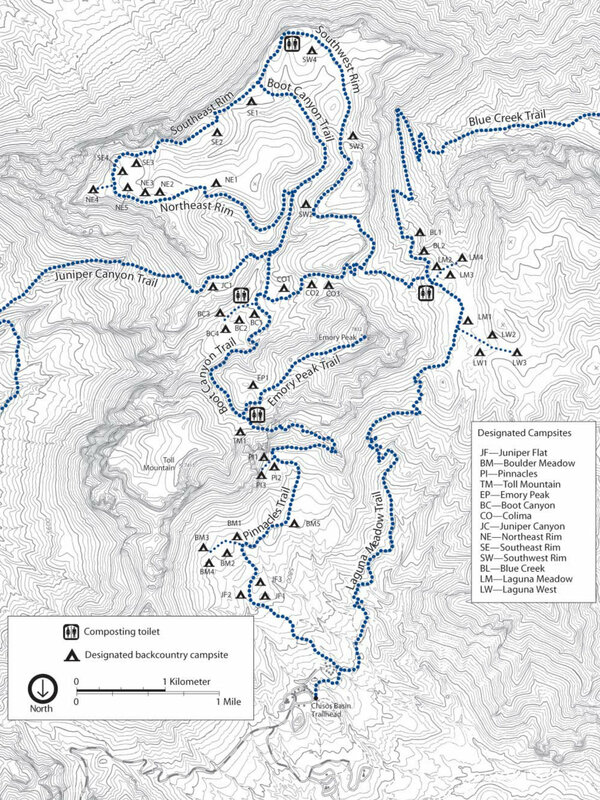 Chisos Basin Campground map showing the three campsite loops and visitor facilities. 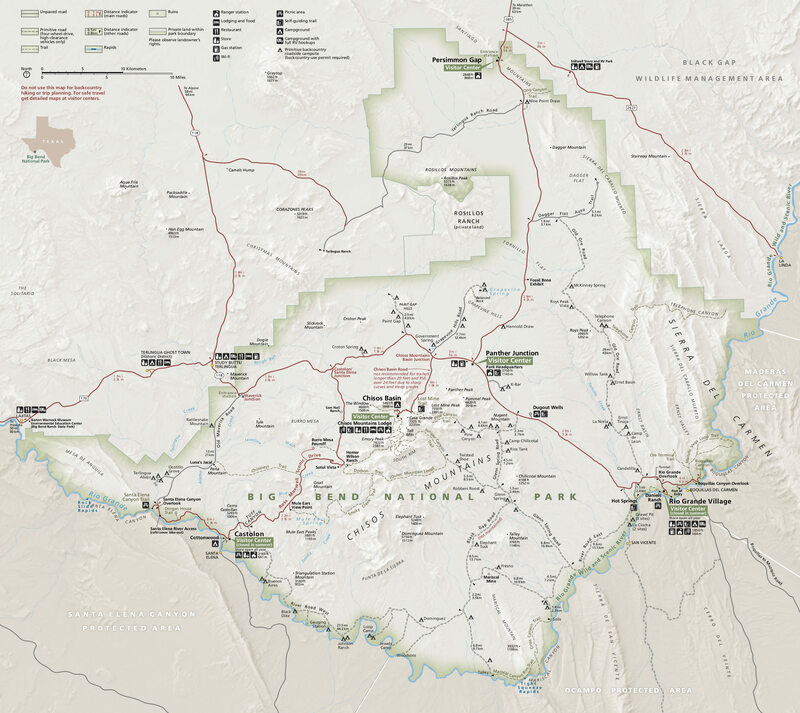 Rio Grande Village Campground map includes both reservation/first-come first-served campsites. 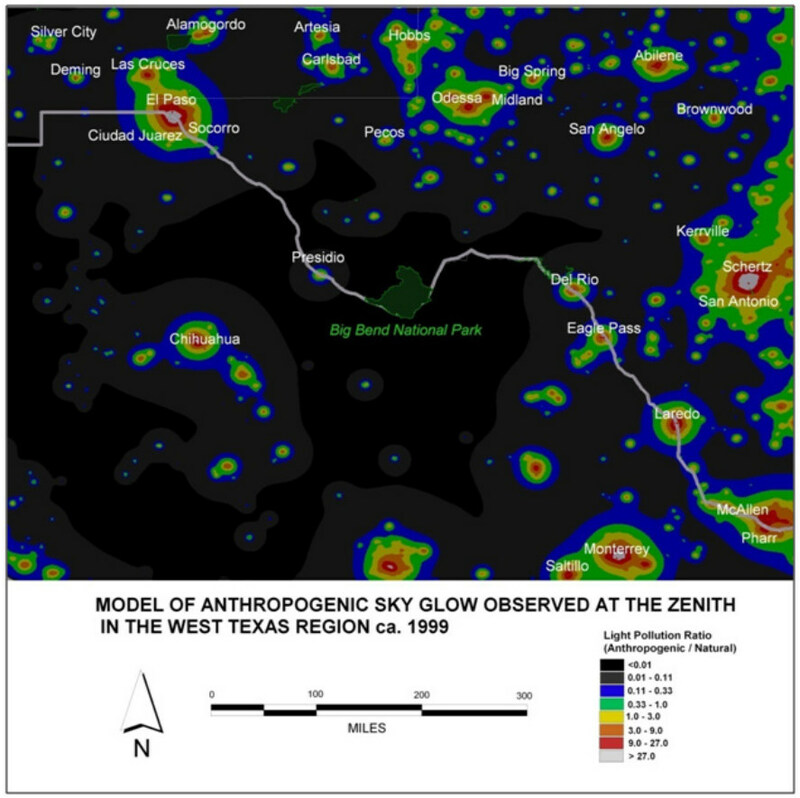 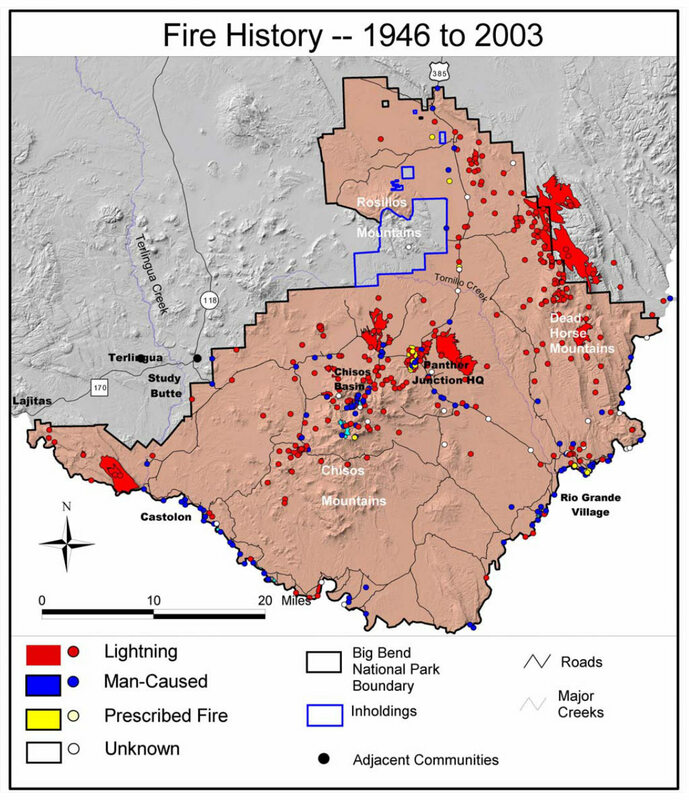 Big Bend fire history map 1946 to 2003, including lightning, human-caused, and prescribed fires.